where does the special oppression of women worldwide come from? What are their roots? What are the reasons for their particular exploitation? Are there countries where women have equal rights? What lessons can we learn from history? What significance does the struggle for the liberation of women have for the liberation of humanity from exploitation and oppression – and vice versa? etc. etc. On the basis of analyses, facts and experience reports we will exchange ourselves. The whole spectrum of women’s movements will have their say. One thing is clear: in the analyses of the women’s liberation ideology the movements differ. But that is not a problem. We see this fundamental debate as an enrichment for further cooperation in terms of content and practice. In this sense, come, join in, send your speeches to us or give them to other women. The countdown is on! The theoretical seminar of basic women is a milestone at the zenith of the 2nd World Women’s Conference to the 3rd World Women’s Conference 2021. 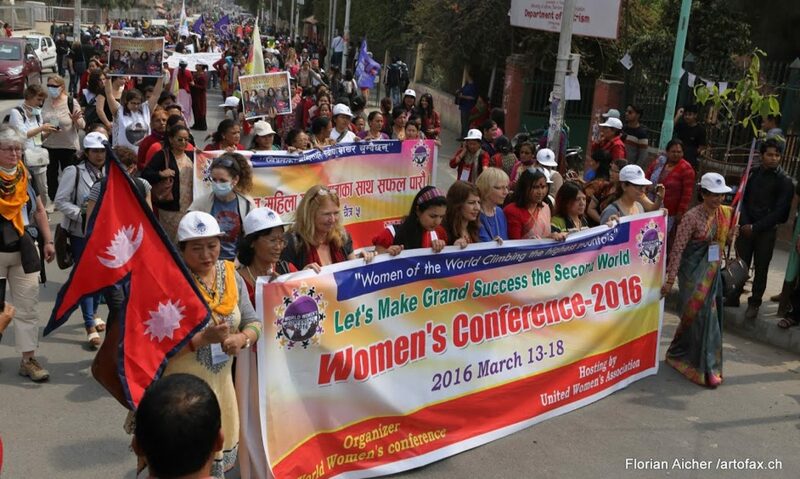 The results will be incorporated into the timetable for the 3rd World Conference on Women. The character of a basic women’s seminar will also be organised by the subsequent visit to Indian women’s organisations on 5 December 18. Of course such a seminar is a challenge for the content and practical preparation. The organisation team in India works tirelessly on the preparations. Sharmistha Choudhury writes: “The closer the seminar gets, the more nervous I get. I hope that everything will be all right! Today I start the train from Calcutta to Bangalore. It is a journey of 36 hours. I will be in Bangalore for five days to check all the appointments on the spot. We have rented a translation equipment, can you support us with interpreters? We have set up an office. Hopefully the participants have booked their hotels? This is very important! We already have many registrations, from India we expect 200 – 250 participants, from Nepal 12 women will arrive, from Africa we expect about 6 women, from Europe about 40 – 50 women, from the Near and Middle East we have registrations. Greetings from India, Sharmistha. * without cash nothing going on! The seminar is a joint effort and is therefore financed jointly. Donations are very welcome. Welcome and introductory presentation by the African representatives of world women. Introductory speech by the Indian women’s organisation as hosts of the seminar. Introductory speech of the Kurdish women’s movement for its study movement. Closing speech by the African representatives of world women. The concrete programme of the individual days will be published on the homepage soon. Dear women, we know that the journey to India is an expensive thing for the basic women. As a non-partisan, financially independent and democratic movement, we have no donors. Our sponsors are like us, workers, friends and supporters of the militant women’s movement. The African women have suggested that they bring handicrafts and sell them at the seminar. The proceeds will be used to refinance their trip. This is a great idea. Maybe you have other ideas how to finance your trip then write them to us, we will put them on the homepage.